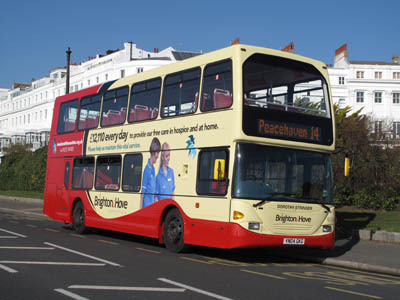 Connections with Brighton and Hove : There can be few greater records of service to Brighton than that of Dorothy Stringer. 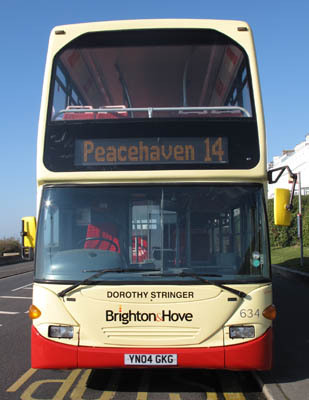 She served 50 years on Brighton Education Committee and never missed a meeting. Miss Stringer was born into public life. Her father was on the council for 34 years and her mother was a member of the Board of Guardians, a cousin became Mayor. She was elected to Brighton Council as an independent in 1925 but eventually became a Conservative. By 1964, she was the senior councillor and she continued to serve until the reorganisation of local government ten years later. Miss Stringer chaired the education committee for several years and was honoured when a secondary school in the town was named after her. 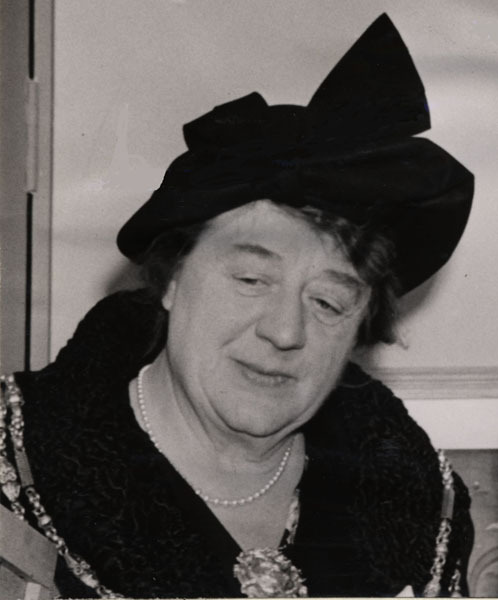 She became Mayor of Brighton in 1952, was awarded the OBE and became a freeman of Brighton. She was also an alderman. As a young woman, she sang under the direction of Sir Henry Wood and was a lifelong member of St Bartholomew’s Church, singing in the choir. Her record of service can be judged by the fact when in 1969 when in her mid seventies, she served on 40 committees. She died in 1977. 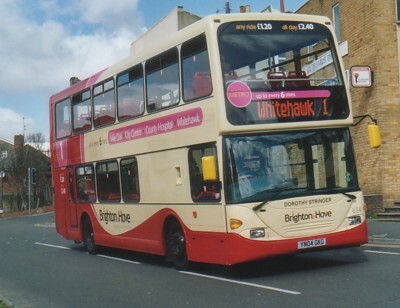 634 Scania Omnidekka carried name since delivery in March 2004, on METRO Line 1. Metro 1 branding removed January 2012. 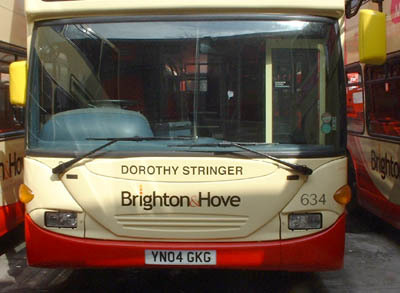 Photograph of Dorothy Stringer reproduced with the kind permission of the Royal Pavilion, Libraries and Museums (Brighton and Hove).